Orrin Hatch, and possibly other lawmakers, are gearing up to waste more of our hard earned dollars to investigate the BCS. Why? Boo hoo hoo! Orrin’s home state of Utah (Utah State) can’t get into the BCS title game because it doesn’t belong to the BCS. Orrin thinks this is unfair, and possibly in violation of anti-trust laws. Sports in this country are way over valued. Sports, at any level, are meant to provide us with entertainment. They have no meaning in the big picture. I don’t mean to diminish the value of entertainment. Sports fuel our dreams. We learn some of life’s most important lessons in context of sport. Hard work and persistence are traits of the best athletes and the best teams. However, we’ve turned athletes at the highest levels into super-heroes. Our country is becoming a modern example of fuedalism. We the people have become serfs beholden to our lords and ladies who rule the athletic world. We send them our hard earned money and in exchange they protect us from the real world. We live vicariously through them as they slay their foes on the athletic field. Does this sound like hyperbole? I think not. In addition to paying our athletes more than we pay our teachers and caregivers, we demand that our government ensures that the playing field is fair. We wasted our tax dollars figuring out whether or not Barry Bonds, Miguel Tejada, Aaron Rodriguez, and others used steroids. Their adoring fans are willing to overlook this and forgive them instantly, but the rest of the sporting world and Congress was up in arms. 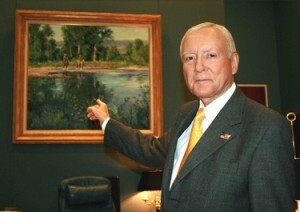 Now, Orrin Hatch wants to spend more of our tax dollars determining if the BCS violates Sherman Anti-Trust laws. He’ll probably get a nice donation from the Playoff PAC. That’s right the Playoff PAC. Citizens are so riled up about the unfairness of the BCS they have formed a political action committee and are soliciting donations to take their cause to Capitol Hill. No doubt they’ll get some huge donations from Boise State alumni who are tired of their team’s perennial shunning by the BCS. An undeserved shunning, no doubt, as Boise State continuously dominates the WAC (that’s whack). All I’m saying is get a life Orrin and contributors to the Playoff PAC. Don’t we have bigger things to worry about? Can’t we fund education, health care, social security, or support innovators and entrepreneurs? There have got to be better ways to spend our tax dollars. If not, quit burdening us with exorbitant taxes, and let us give our money to people who really need it.